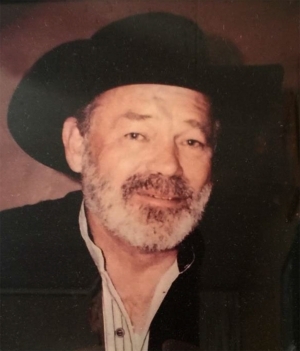 Billy Joe Winters, 78, of Apple Valley, CA, passed away on Sunday, August 12, 2018 after a lengthy illness. Mr. Winters was born in Oklahoma to William and Mattie Winters on November 16, 1939. He was a long time resident of Ventura County. Upon retiring, he moved to Nevada and in 2013 moved to San Bernardino County. Billy is survived by his children: Jodie (Bill) Benoit of Apple Valley, CA; Bill (Kristy) Winters of Camas Valley, OR; Donald (Julia) Winters of Fillmore, CA; Richard Winters of Camarillo, CA, Brother Rick Winters of Reno, NV, and Sisters Joyce Richardson of Sacramento, CA and Colet Lee. He is also survived by 7 grandchildren, 10 great grandchildren, and 4 great-great- grandchildren, as well as many nieces, nephews, and cousins. Billy was preceded in death by his parents, William and Mattie Winters, and sisters Della Henderson and Helen Moody. Billy was a hardworking man, retiring from Fillmore-Piru Citrus Association. He also worked for many citrus packing houses throughout Ventura County. The family will be having a Celebration of Life gathering in his memory on Saturday, September 29th at First Baptist Church of Fillmore, 1057 1st St, Fillmore, CA. on Saturday September 29th. Services will begin at 10:00 a.m. with a reception immediately following.